I debated sharing this post in May, due to the fact that it is a snowy editorial. However, I was driving through McCall, Idaho yesterday and would you believe what the weather was outside? Yep, snow! 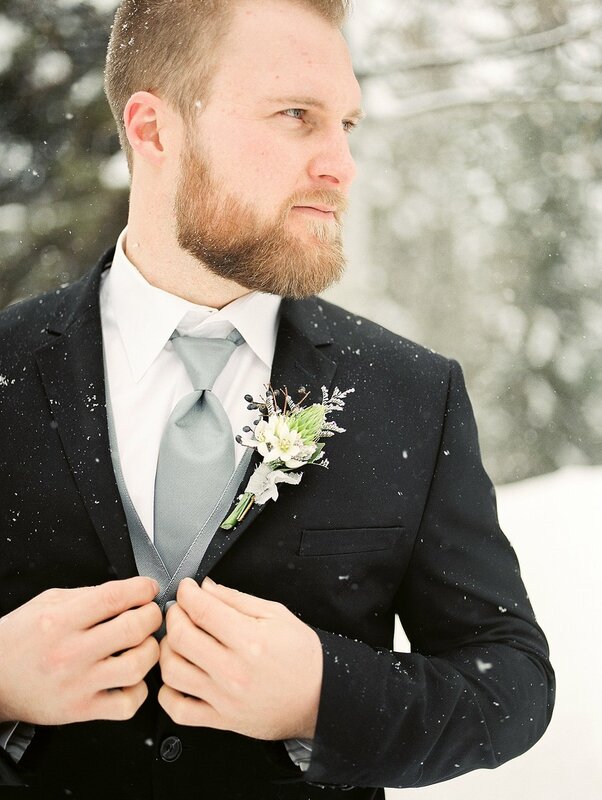 There are only two weeks until June, and the peak of my wedding season, and it's still snowing! I am in disbelief! 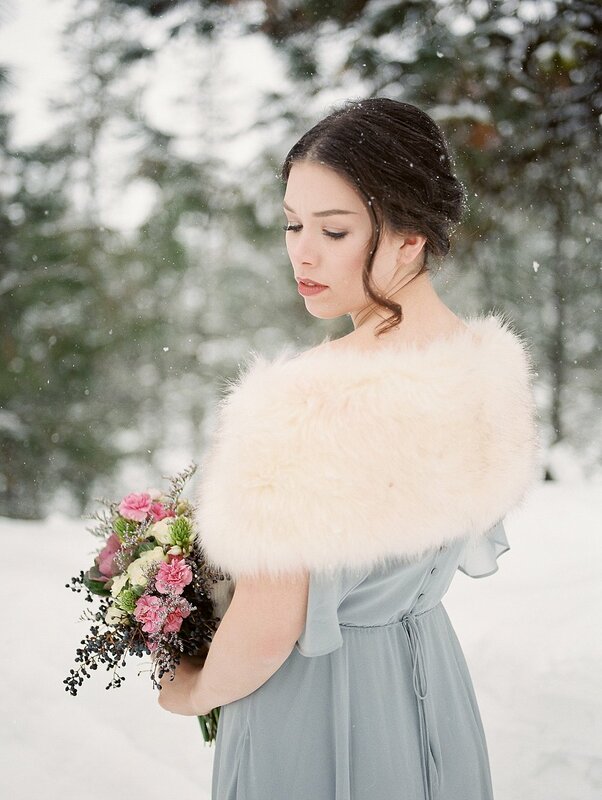 This gorgeous editorial was featured on Rocky Mountain Bride Magazine's blog here. 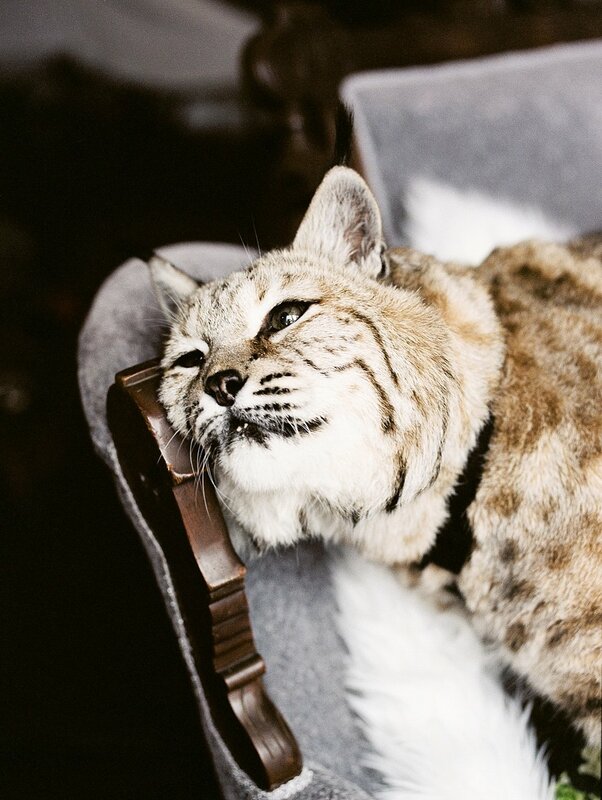 It was an honor to be featured in such a wonderful magazine. 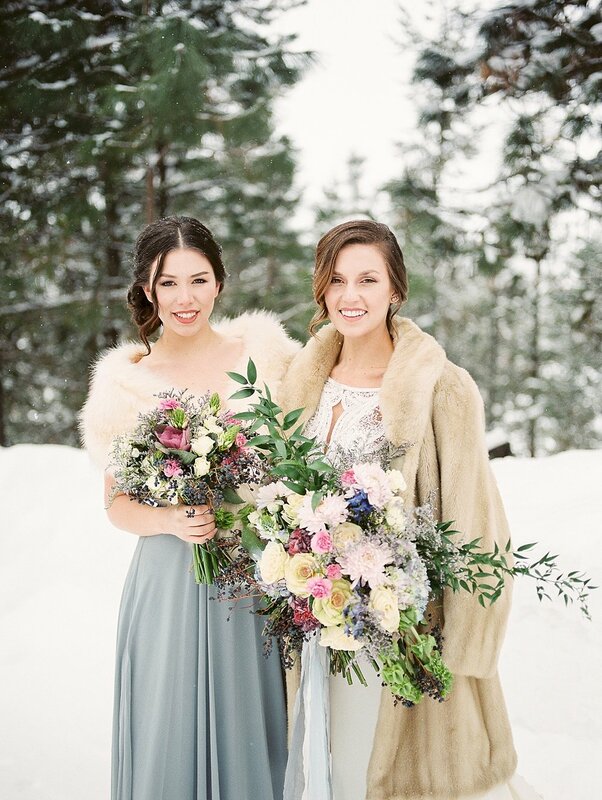 Our inspiration for the shoot was to honor the gorgeous winters that we get in McCall, Idaho. 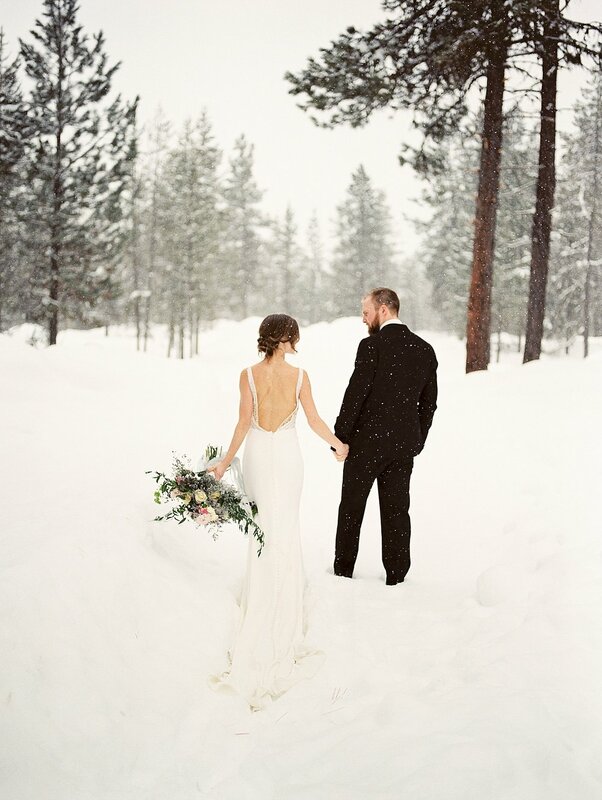 I typically photograph around 10 weddings a year in McCall, but most are in the summer months. The winters are absolutely stunning, and I wanted to showcase that beauty! My husband and I often go to McCall so that we can cozy up by a fireplace and watch the snow fall outside. 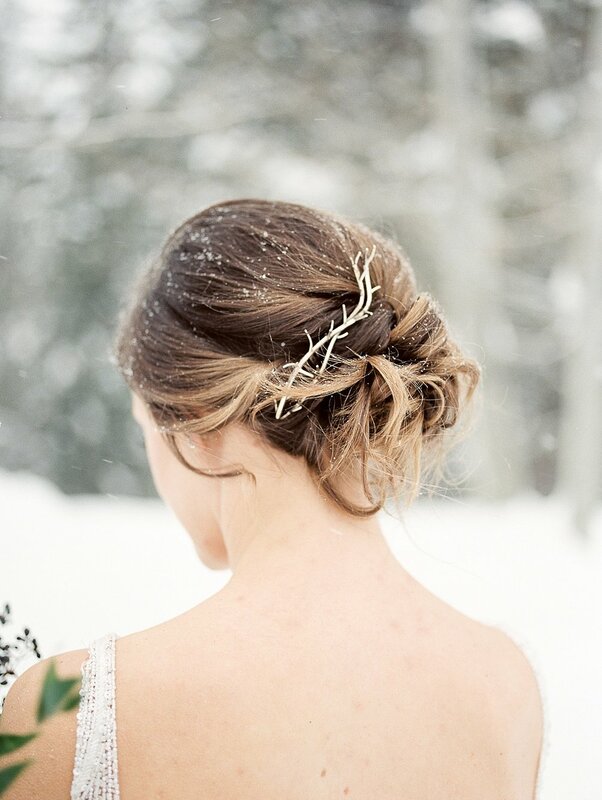 Thinking about it as I write this has me yearning for the stillness that comes when the snow falls. 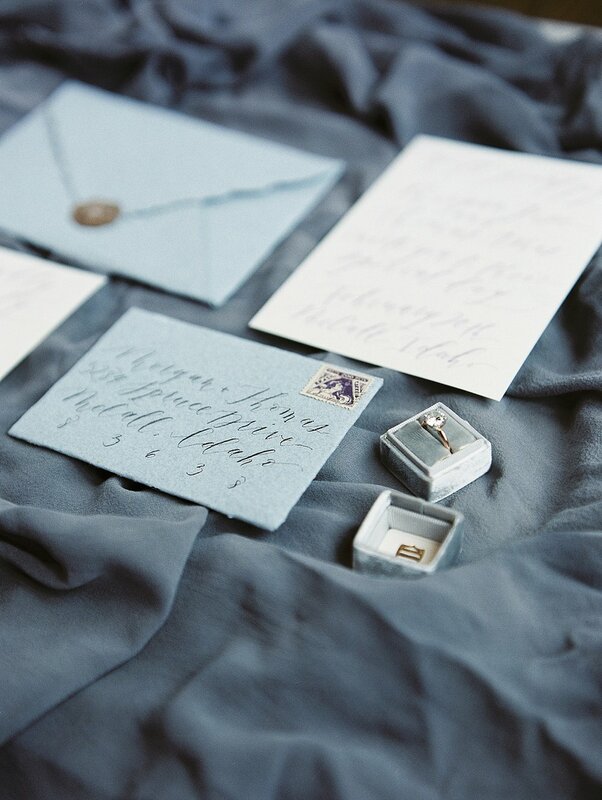 As with any editorial shoot, it is not possible without the hard work of all the vendors who contributed! I want to personally thank every one of the vendors listed below for their contributions and dedication to this shoot.